Dance Lessons in Vancouver, by Award Winning JC Dance Co. 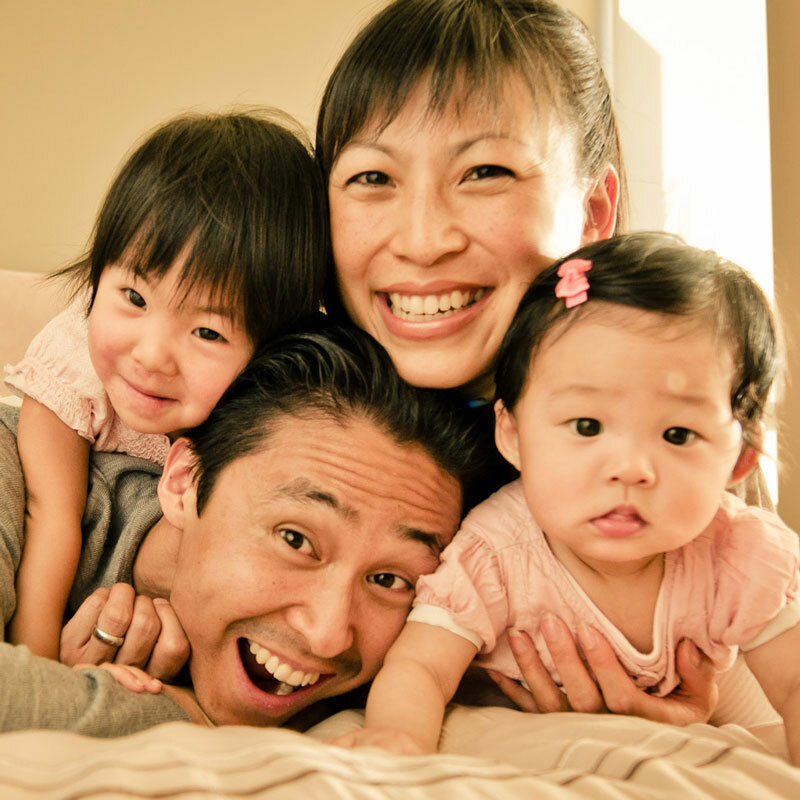 Looking for dance lessons in Vancouver that are fun and pressure free? Here at JC Dance Co., you will learn from Vancouver’s only World Champion teachers while smiling and laughing through it all. 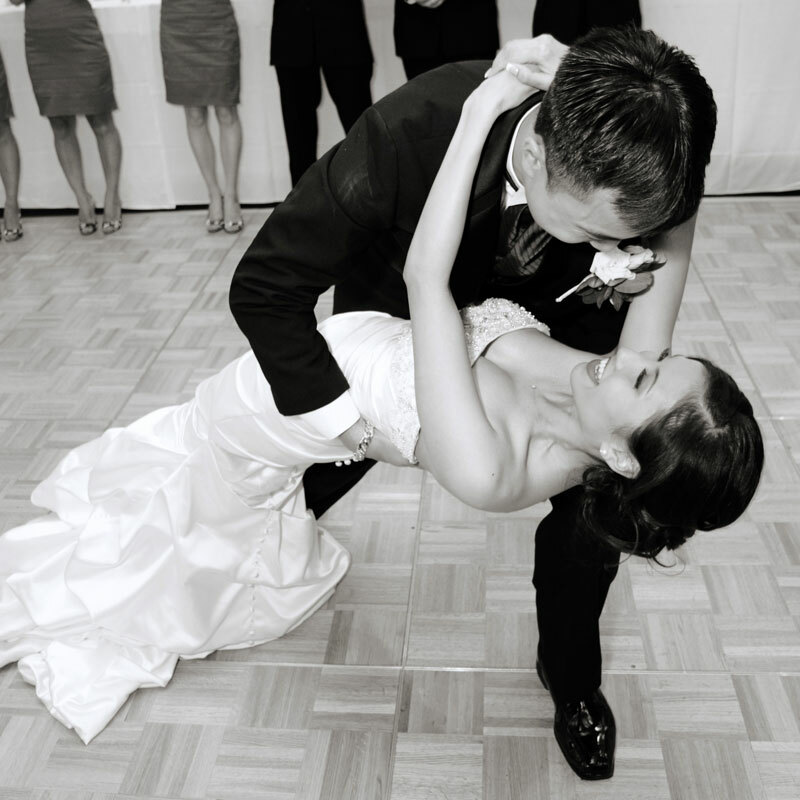 Find out why total beginners, wedding couples and many of BC’s top competitive dancers continue to chose JC Dance Co for their dance lessons in Vancouver. For your shopping convenience, online gift cards for dance lessons are now available for you to purchase for yourself or that special someone itching to dance! Joel Marasigan & Clara Shih Marasigan, JC Dance Co’s principal teachers, are young, dynamic and one of the most talented ballroom dance professional teams in all of Western Canada. 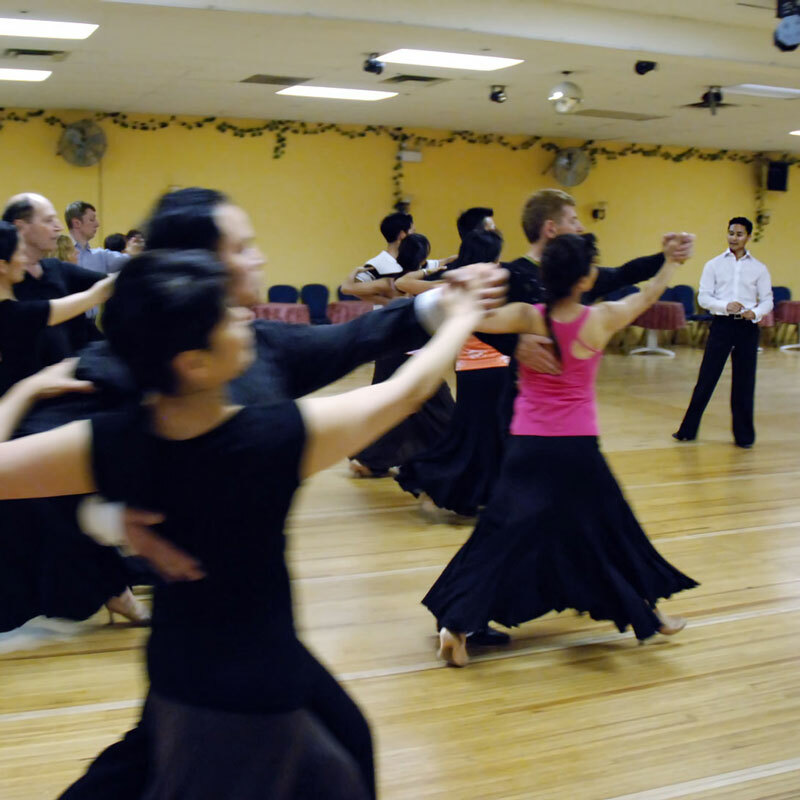 Best of all for you, Joel & Clara have the special ability to make every dance lesson simple, fun and totally worthwhile so that you learn to dance with confidence. High quality group class and private lesson training for all levels in a variety of styles. JC Dance Co teachers stay up to date with the latest dance steps and performance styling. Life puts enough financial pressure on your wallet. Dancing shouldn’t be one of them. JC Dance Co. runs all their dance lessons in Vancouver in the world-class yet surprisingly friendly environment of the Broadway Ballroom, located just minutes from Vancouver’s downtown core. Featuring Vancouver’s only sprung full-size dance floor and sophisticated sound system, Broadway Ballroom has everything you could want in a dance studio setting. You even get free underground parking as a JC Dance Co. student! Your JC Dance Co team creates fresh, exciting opportunities for everyone. As a husband and wife team, we can easily work one-to-one with men or ladies. Dancing should be a time of fun and enjoyment. You’ll love our environment! Give the gift of dance in 2019! Give the gift of dance! Purchase gift cards online for our fun and easy beginner group classes, or a specialized private lesson for total personalization. Whether you have a question, a comment or just want to tell us about your dance experience, we’d love to hear from you. Stay connected to the latest news and information from JC Dance Co. You can unsubscribe instantly at any time. Joel has a unique ability to make a room full of diverse people of various cultures and ages feel warm and welcome in the dance world. As a newcomer dancer this year Joel’s classes were extremely easy to understand and learn in. He created a positive learning environment in which we could be proud of learning the basic parts of each dance move while working to master the nuances of each step without becoming frustrated along the way. He has a generous spirit and ensures that no one falls behind in their learning regardless of the level they are at. Even as lessons progressed and some people learned quicker than others Joel ensured that everyone still had fun and he provided appropriate feedback for each person that was specific to them. I can recommend taking lessons from Joel wholeheartedly and look forward to learning from him in the future. Behind the scenes, Joel and Clara are athletes who are passionate, determined, and focused on perfecting their dancing, but on the dance floor they are 100% entertainers. They captivate the audience with their display of elegance, sophistication, and playfulness. It’s a magnificent thing to watch Joel and Clara dance. They smile not because they are supposed to, but because they truly love DanceSport and enjoy entertaining the audience. It’s sincere and it shows! Joel and Clara are polished. Their dancing is filled with intensity, beauty, and athleticism. They are not only entertainers but also the mot determined and goal-oriented athletes you’ll ever meet. We have had the pleasure to watch Joel & Clara from the beginning of their dance partnership. They have continued to improve through hard work, dedication and a love of dancing. 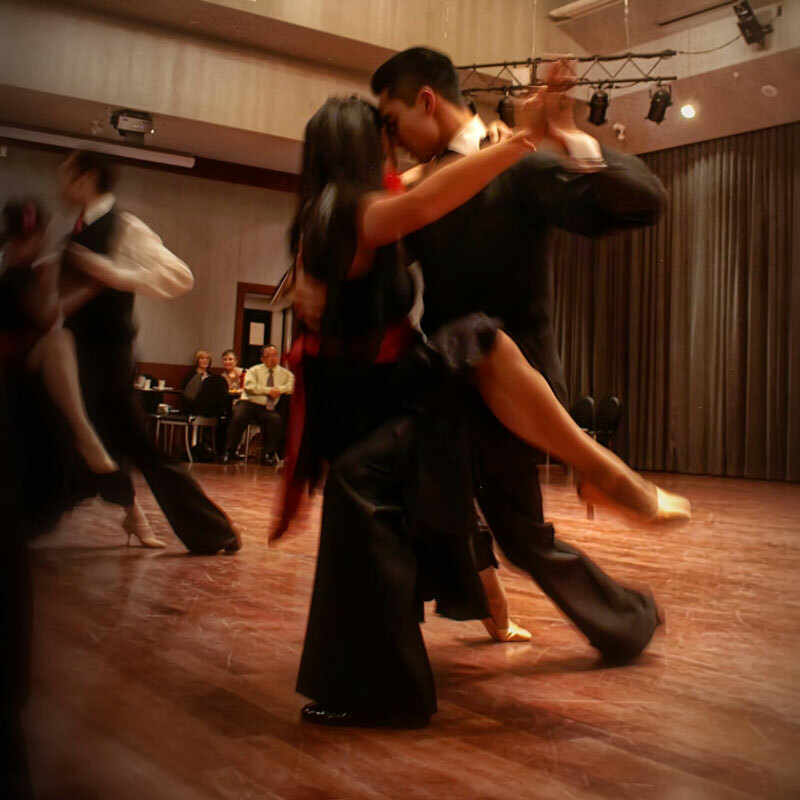 Joel and Clara have become not only BC Open and Closed champions, they have represented BC, placing in the finals at the Canadian Open and Closed Championships and at many international dance competitions. This talented and personable couple are truly wonderful ambassadors for ballroom dancing and for Canada. Our wedding First Dance was a great success! I don’t know if it was the wine or the adrenaline, but we got through the whole routine without any errors, and everyone loved it. I think Tom was more proud of the dance than he was of the ceremony itself. Clara and Joel were very enjoyable to work with. While it was clear that they are experienced competitive dancers and teachers, they were able to work with a couple of inexperienced (and eager!) students to help us bring together an amazing first dance for our wedding. Our wedding dance was very personal and appropriate for us; Clara made every effort to tailor our song choice and choreography to fit. We came away with a new appreciation for dance and also the accomplishment of having to work through a new challenge as a couple. Thank you for working with us on our first dance for our wedding. You made the whole experience relaxed and even fun, an impressive feat for two total non-dancers! We really appreciated your gentle coaching and your patience. Our first dance went well. Most importantly, we had fun doing it! Thank you! 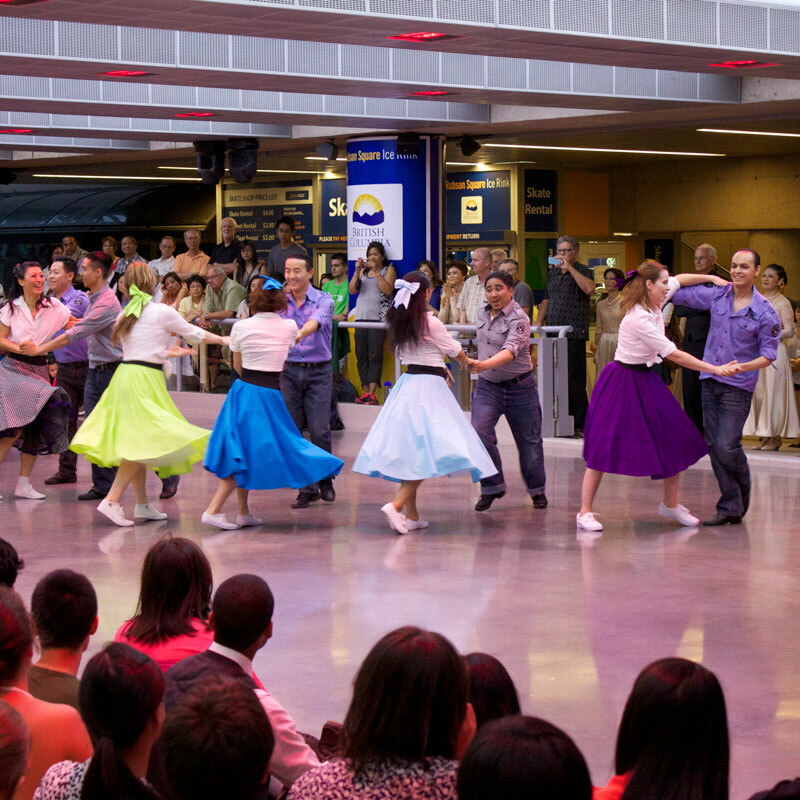 Each summer, JC Dance Co represents the height of ballroom dancing at Robson Square. By amazing the audience, demonstrating high calibre dancing, and bringing their infectious spirit of fun their performance team draws our largest audience of the summer. This audience generates the largest donation for the summer, which helps cover the operating costs. The JC dance company performed in a show with Salsabrosa at the PNE. They were very professional, presented excellent choreography and were dependable to work with. We look forward to future collaborative performance projects with them. We’d love to help you reach your goals. Whether you’ve never danced before or you’re a seasoned dancer, JC Dance Co can help you realize your dreams.